It’s been a few months since I told you about what I’m reading, so it is perhaps appropriate that I update you on my reading list. As a freelance writer, it is important that I keep reading the work of others, because it helps to refine my craft and to better understand how to best approach different audiences. In this way, I try to keep my reading material as varied as possible, capturing as many different types of voices as possible. While it’s not nearly as easy to read for pleasure as it once was, I still make an effort to step away from the computer occasionally so that I can thumb through a physical book. It’s hard to say when (and whether) I’ll get around to completing all of these books, but they’re all here sitting in a pile waiting to be read and enjoyed. Feel free to read along. Absolute Power (C.S. Denton): This one has been sitting on my shelf for some time. They say that power corrupts and absolute power corrupts absolutely. With this book, we take a look at “the real lives of Europe’s most infamous rulers.” This includes better-known monarchs like Napoleon, Nero, and Ivan the Terrible, as well as lesser-known names like Phokas, Tarquin, and Wenceslas the Drunkard. Some were evil, others were simply misunderstood. Holler If You Hear Me (Michael Eric Dyson): Tupac Shakur is arguably the greatest rap artist to ever walk the Earth and I was a huge fan of his during high school. Pac was more than a rapper; he was a poet and an intellectual. This book includes interviews with Quincy Jones, Afeni Shakur, Jada Pinkett Smith, Toni Morrison, and others. Saving the World at Work (Tim Sanders): I mentioned this book last month and how it talks about what companies can do to go beyond making a profit. There are so many things that are more important than money and we should all strive toward making the world a better place in some way. Whether it be eco-activism or social projects, we can all pitch in and do something. Blog Blazers (Stephane Grenier): I heard about this project some time ago when Derek Semmler told me that he was one of the professional bloggers being interviewed for this book. Why did he tell me about it? Well, when Derek was asked what blogs he read on a regular basis, he said that he enjoyed reading Beyond the Rhetoric. Thanks for the mention, Derek! 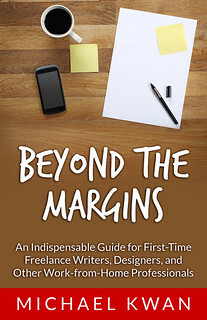 Other bloggers interviewed in this book include Aaron Wall, J.D. Roth, and Yaro Starak. Marley & Me (John Grogan): In my previous reading list, betshopboy mentioned that it did not include any fiction. This time around, I take a look at this best-seller about an out of control dog and how he changed the lives of the people around him. And yes, I was interested in Marley & Me before Owen Wilson and Jennifer Aniston took it to the silver screen. I realize that this may make me a glutton for punishment, but… are there any books you’ve read recently that you’d recommend? I’m open to both fiction and non-fiction, though it’s terribly unlikely I’ll read anything with Fabio on the cover. UPDATE (03/13/09): I’ve been informed by a reader that Marley & Me is actually a work of biography and not a work of fiction. I guess I am stuck with non-fiction after all. I always have several in-progress reads, situated all over the house so that wherever I land, I can pick one of them up! I love sipping at books. Four that I am enjoying at present are A Girl Named Zippy: Growing Up Small In Mooreland, Indiana by Haven Kimmel (second reading); Journal of a Novel: The East of Eden Letters by John Steinbeck; Write. 10 Days to Overcome Writer’s Block. Period. by Karen E. Peterson, Ph.D.; and What’s Eating Gilbert Grape by Peter Hedges (second reading). Being a lover of mysteries and fantasy, I suspect my tastes are not going to match yours by a long shot. Bu-u-u-u-ut, if you want to expand your horizons into fiction, have you considered looking at fiction that hooks into your interest in business and productivity? You can check out stopyourekillingme.com for mysteries featuring sleuths who have career paths along the lines of your interests there. Or others who share your hobbies. I recently enjoyed False Profits by Patricia Smiley, about a business consultant whose client dies. I tend toward Political books or Science Fiction. My favorite book, which you asked on Twitter today, is “One Day in the Life of Ivan Denisovich” and the series “The Gulag Archipelago”. On the lighter side, I like any of the early works by Tom Clancy. I would recommend, The Road, if you haven’t read it already. Also, The Power of Less and Outliers: The Story of Success.